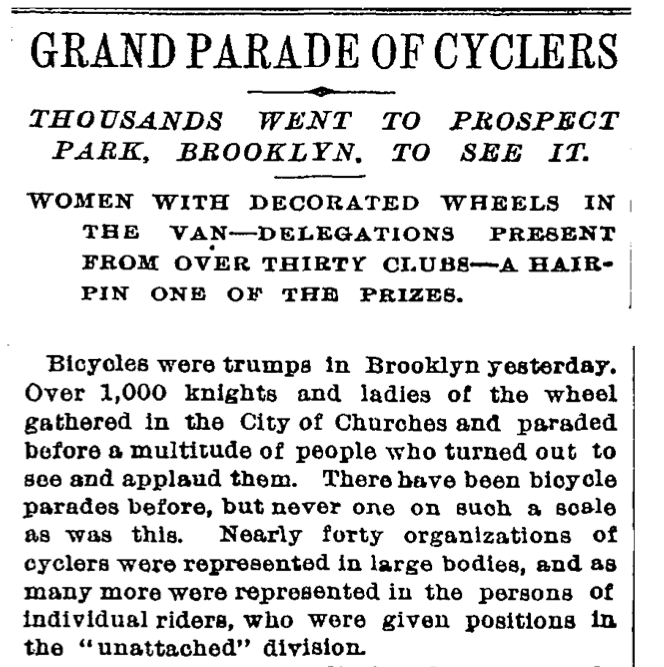 It won’t be quite as big as the Grand Parade of Cyclers mentioned in this June 21, 1891 New York Times article, but you can be sure that Sunday’s We Ride the Lanes kids and family bike ride will be a lot of fun and a great kick-off to spring. I’ll be there with my wife and daughter and we’ll be handing out free buttons. Can’t wait to see my fellow knights and ladies of the wheel! Please say hello.